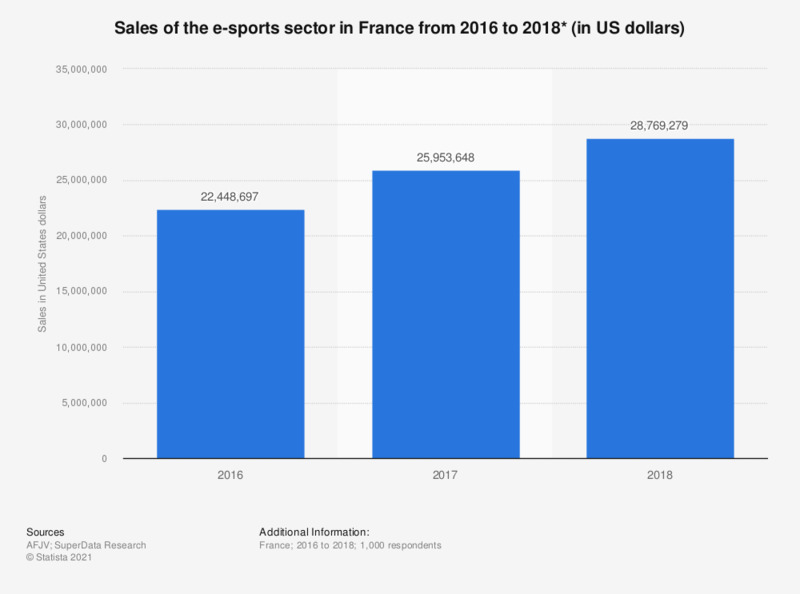 This statistic represents the turnover of the e-sports industry in France from 2016 to 2018. In 2018, the French e-sport market is expected to reach a value of approximately $ 29 million. ** The values ​​indicated for the years 2017 to 2018 are provisional values.